Digital Product Strategy — Mobile Engineering — Agile Project Management — Bikes! 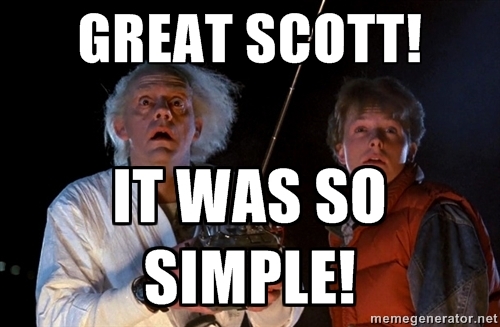 For a while, that was my feeling when it came to using Cocoapods when writing my iOS apps in Swift. 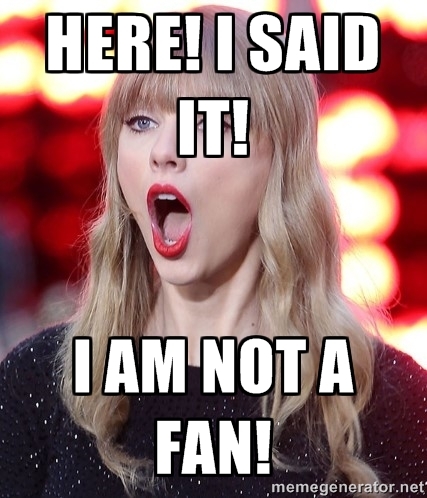 Some would say that, even if I am quite involved in the Swift world right now (check out my latest article on raywenderlich.com on how to build an app like RunKeeper in Swift), I am not the biggest Swift advocate. And it’s mostly because of these little things like Cocoapods that used to work seamlessly and start to become a pain when you switch to Swift. Something else I really don’t like — and that’s a personality issue I know I am probably never going to get rid of — is intrusive, unnecessary, it-just-works GUIs. 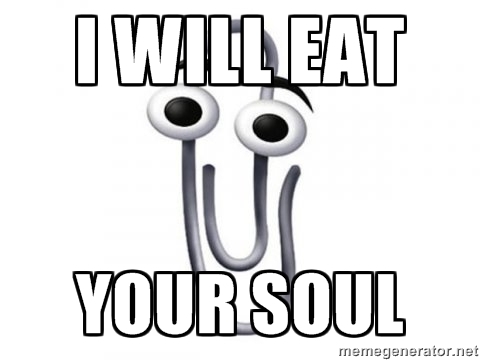 Some of us were afraid of clowns, I dreaded Clippy. In these days of iOS development, that fear came back to me in a form I wouldn’t have expected: my crash reporting tool! Don’t get me wrong. I love me some crash reports! And until XCode 7 and its new Crash Reports service are released, Crashlytics is definitely the best tool out there for your money, especially for your small and/or open source projects. Its killer feature being, let’s be honest about it, that it’s free! Let’s cut to the chase! To all of you who ran into the same issues I ran into, this is our lucky day! Here’s how to get your Swift project set up with Crashlytics using only Cocoapods and without having to use this oh-so-magical plugin. If you haven’t installed Cocoapods yet, check this really simple Getting Started tutorial. Once you have done that, open the newly created [PROJECT_NAME].xcworkspace file and you should see a new Pods project there, with these two new pods inside. Unfortunately, because Crashlytics is an Objective-C library, you will need a bridging header. Again, let’s assume you know your way around mix-and-matching Swift and Objective-C inside the same project. If you need more details, just check out Apple’s documentation on having Swift and Objective-C in the same project. You are ready to start using Crashlytics from your Swift code. However, if you try to build your project now, nothing will happen. It’s because you need to tell Fabric that it should start running when your app starts. This will start Crashlytics when your app starts. That’s it! Now build and run your project and your app should directly show in your dashboard! I hope this little tutorial helped you integrate seamlessly with Crashlytics. One of the good things is, if you want to continue using the plugin (for beta distributions for example, which works pretty well I’ll admit) you still can! This integration is 100% compatible with it! If you have any questions or issues with what’s been told here, feel free to reach out to me on Twitter at @Zedenem. Well, if that was the case I wouldn’t have to write an article about it, would I! 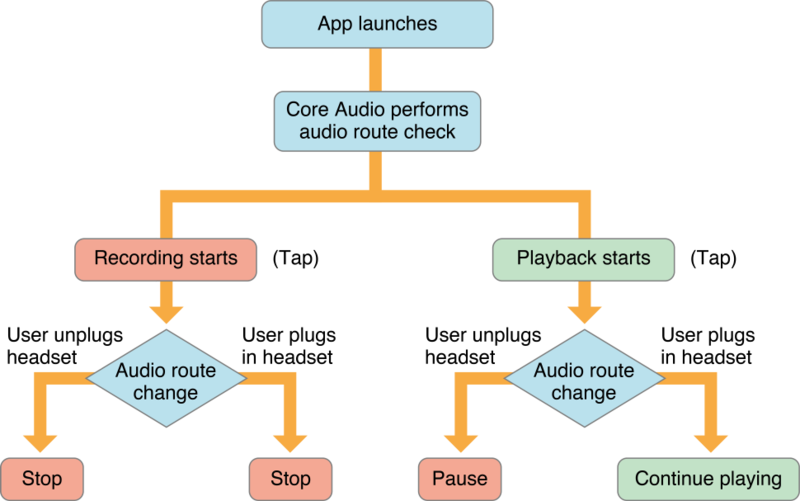 The thing is, Apple’s documentation (See Audio Session Programming Guide: Responding To Route Changes) is pretty clear about the matter but nobody ever wrote a practical example on how to use Audio Output notifications to check if headphones have been plugged while playing a video. So after digging the web, and especially Stack Overflow for a practical solution that does not exist, here is my take at it! Hope it will help! Here, you don’t need to check if the previous route were the headphones or not, because the only thing you want to know (and the logic behind iOS pausing the video when the headphones are unplugged) is this: When the device used for output becomes unavailable, pause. From there, you should be able to access all the documentation you need to, for example, detect when the device is connected to a docking station, etc. This Article is in French only, as it is about a french-specific topic. Feel free to ask me to publish a translation if needed. 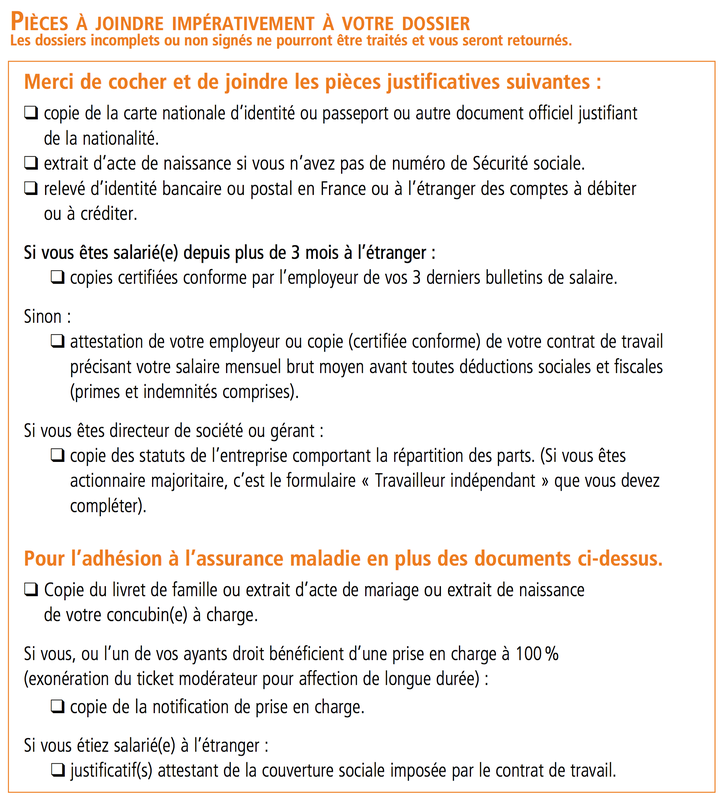 sujet qui aura son article), visa qui permet sous certaines conditions aux membres de la famille de l’expatrié de travailler. Le bulletin n’est pas particulièrement compliqué à remplir, ni les pièces à joindre difficiles à trouver. Mais, comme certains questions sont un peu retorses, voici un pas-à-pas des éléments sur lesquels j’ai pu buter et pour lesquels le site de la CFE n’a pas été d’une grande aide (et la ligne téléphonique plus floue encore parfois…). Rien de particulier à noter dans cette partie. Dans notre situation, ma femme me suivant sans emploi au départ et pour au moins 3 mois (délai d’obtention de son autorisation de travail – sujet qui aura son article), nous avons répondu non à la question “Mon(a) conjoint(e) ou concubin(e) exerce une activité professionnelle” et non à celle demandant si elle résidera en France. 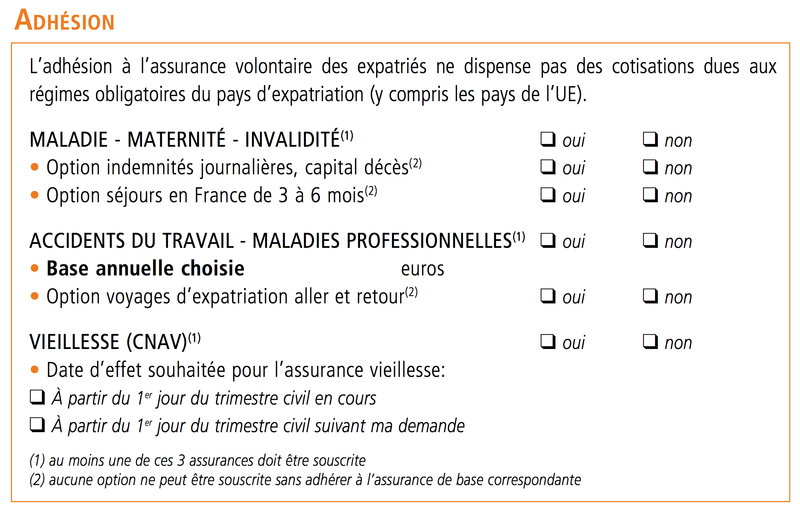 Après renseignement, et vu que la majorité des expatriés doivent être dans cette situation au moment de remplir ce document, il est effectivement possible de donner comme adresse à l’étranger l’adresse de l’employeur, et ce sans nécessité d’apporter des précisions supplémentaires. Les adresses peuvent de toute façon être mises à jour plus tard. 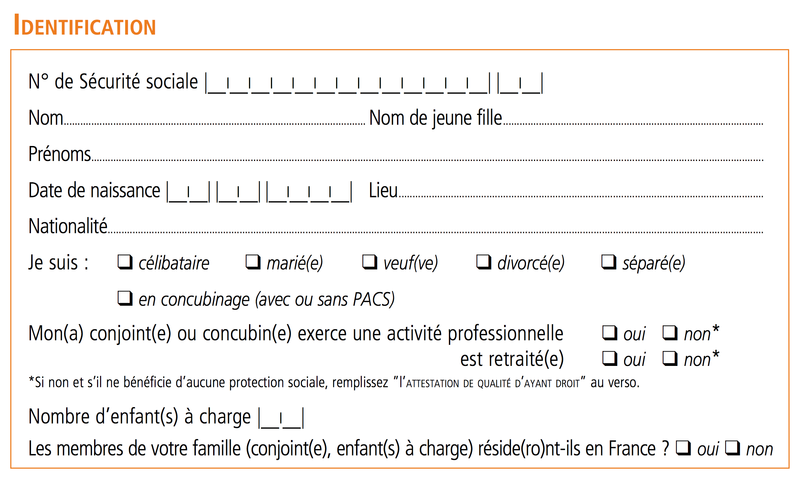 Mis à part cela, je ne saurais trop vous conseiller de ne pas choisir l’option “Tout papier”, pour nos amis les arbres, mais aussi pour la pérennité de vos archives personnelles… À noter la taille allouée pour la saisie de l’adresse mail (sic). 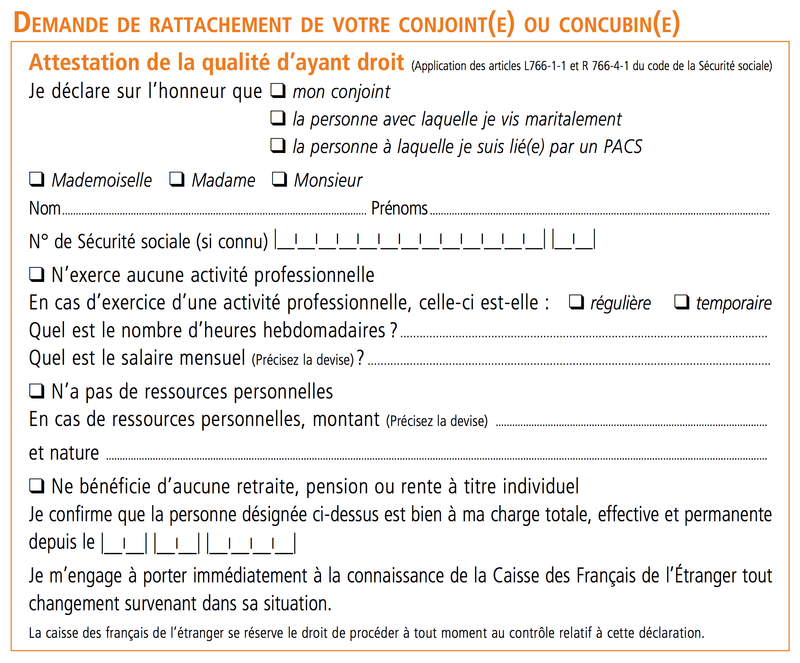 Bien qu’aucune précision ne soit faite sur le rapport avec la date d’arrivée, celle-ci est quand même prise en compte. 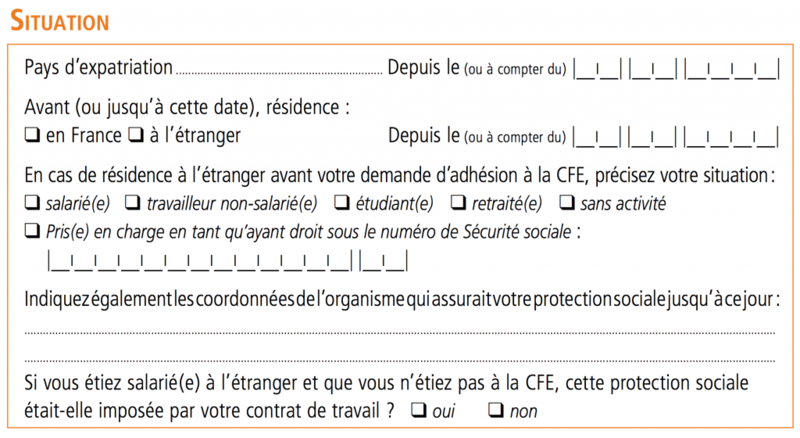 J’ai obtenu ce renseignement par téléphone, et je dois avouer que cela reste toujours flou pour moi… Bref, nous avons saisi la date ayant le meilleur rapport proximité / plausibilité car, comme vous le savez sans doute, il est souvent difficile de savoir la date exacte du départ, particulièrement pour les États-Unis. La deuxième partie n’est à remplir que si vous viviez déjà à l’étranger avant cette nouvelle expatriation. Étant rentrés de Berlin pour quelques mois avant de repartir, nous avons décidé d’omettre complètement cette précision. Du coup, pas de conseils particuliers pour cette section. Désolé. Rien de particulier ici non plus. Nous avons décidé de déclarer mon épouse comme “à ma charge totale, effective et permanente” à partir de notre date de départ saisie à la section précédente. Il faudra simplement prévenir la CFE du changement de situation une fois qu’elle aura un travail dans le pays de destination. Salarié : Cotisations. Pour le calcul des indemnités, c’est par là : Salarié : prestations accidents. 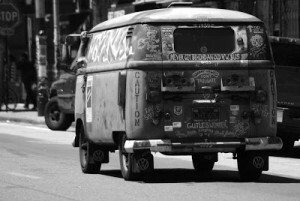 Pour ce qui est des options : * “Option voyages d’expatriation aller et retour” : Voilà ce qu’en dit le site de la CFE : “En souscrivant à l’option voyages d’expatriation vous bénéficiez des mêmes prestations en cas d’accident survenu lors d’un trajet effectué pour raisons professionnelles, entre la France et l’étranger.”, toujours sur la page Salarié : prestations accidents. 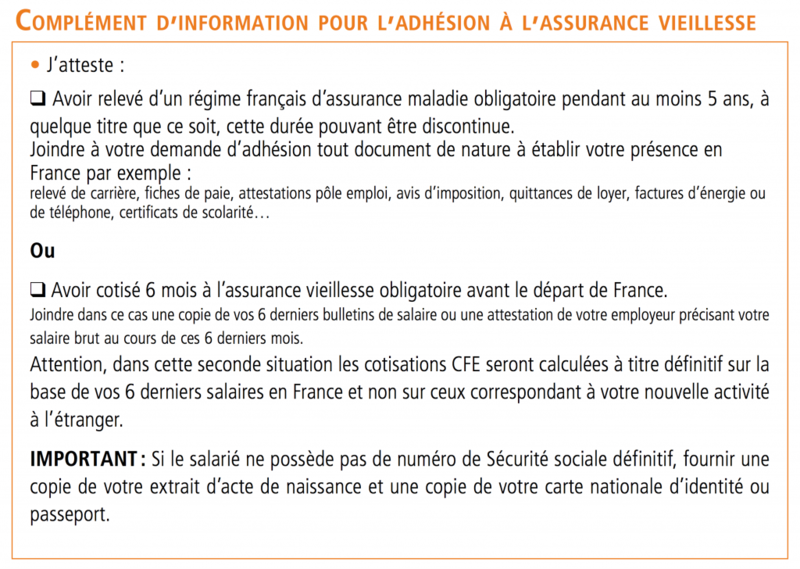 N’ayant pas adhérer à l’assurance vieillesse (voire section précédente), je n’ai pas de conseils particuliers concernant cette section. Rien de particulier dans cette section. Pour ce qui est de la correspondance avec la CFE, nous avons décidé de tout recevoir à notre adresse française et d’être remboursé sur notre compte français. Simplement pour pouvoir fournir toutes les informations à l’avance. Nous avons choisi de bénéficier du prélèvement automatique en remplissant le formulaire disponible ici : Mandat de Prélèvement SEPA et en le joignant directement au bulletin d’adhésion. Rien de particulier ici. Comme dit plus haut les pièces à joindre sont relativement standards. 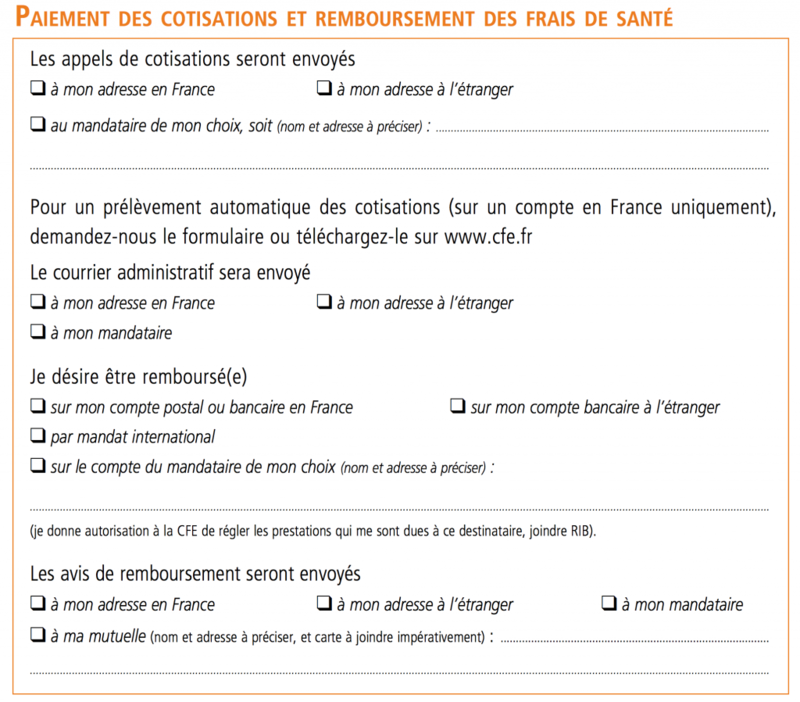 Voilà pour ce qui est de l’adhésion à la CFE, et le prolongement de la couverture sociale en général, au moins pour la période de transition entre la France et le pays de destination. Je rappelle que cet article est à but exclusivement informatif, qu’il ne reflète que mon expérience personnelle sur le sujet et que je ne peux en aucun cas être tenu responsable si certaines informations s’avèrent erronées ou obsolètes. En espérant que cela sera utile à d’autres. À très bientôt pour de nouvelles aventures ! XML Parser for iOS is now featured on Cocoa Controls ! It is the second of my libraries to be made available on this really select iOS Controls site ! The first one was a take at making a circular UISlider (https://www.cocoacontrols.com/controls/uicircularslider) and there is more to come. I was working for a client’s iOS app that was making a lot of use of REST Web Services, getting and posting JSON requests both to display datas and interact with the server. At some point, I discovered that part of the Web Services weren’t conforming to the global specification and were sending back XML data structures instead of JSON. No one knew about it when we first conceived our app data model and the problem was that I had to use the XML structured datas the same way as I used the JSON ones (both when displaying it and when posting requests to the server). Given the state of the project and the available time, I decided that it was better not to do specific work dealing with the XML and better try, as soon as I get it from the server, to convert it to JSON and “hide” the complexity behind a conversion parser. 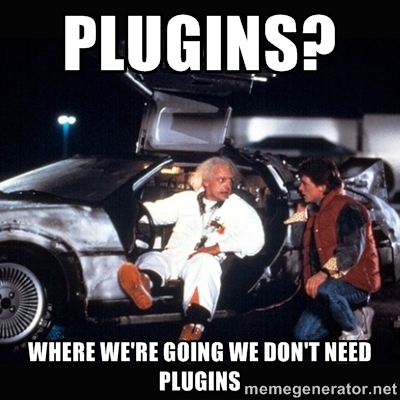 That’s how the XMLParser library was born. As my mission ended with my client at the end of May, I took the time to update sinoquiz in version 1.2 to add support for the iPhone 5 screen. Sinoquiz allows you to test your knowledge in chinese characters, their pīnyīn writing and their translation with a fast and easy to take quiz. 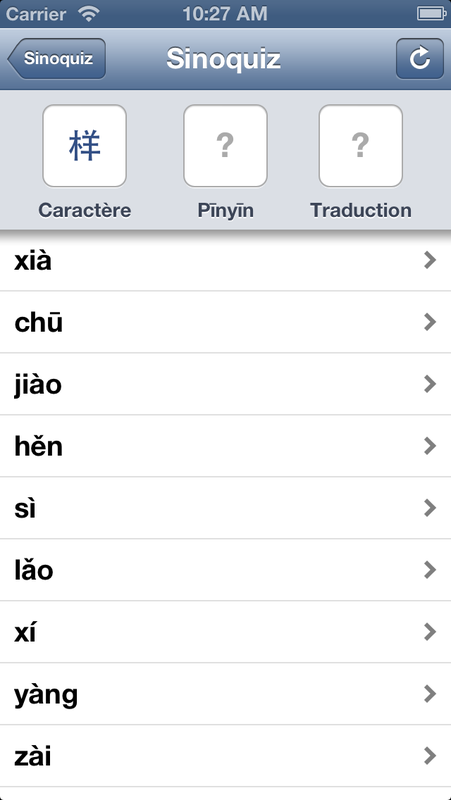 For now, Sinoquiz is only available in french, stay tuned for the english version and the new iOS 7 redesign. This article is a two parts step-by-step tutorial on how to easily expose RESTful web services using Play 2.x Framework and consume them in an iOS app using AFNetworking. In this first part, I will explain how to easily expose your apps datas in JSON format via a REST Web Service, using the Play 2.x framework. In the second part to come, I will give you some details on how to access the web services through your iOS app. I will suppose that you already have a running installation of Play 2.x framework on your machine. If you don’t, here is a link to the Play Framework documentation, which provides a great Getting Started tutorial : http://www.playframework.com/documentation/2.1.1/Home. OK, application helloWeb is created. We are now going to write a simple method that returns a JSON result. Go to your controllers folder (./app/controllers) and open the Application.java file. Put a String object "Hello Web" for the key "content"
That’s it ! 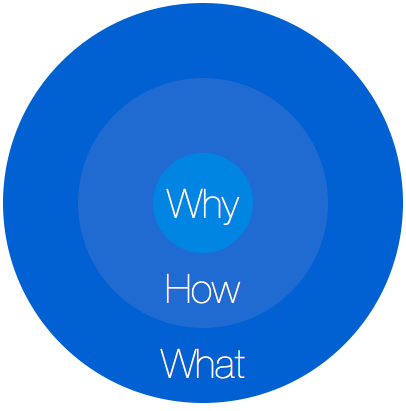 We created our Web Service method, now all we need is to expose it! Last step : go to your conf folder (./app/conf) and open the routes file. Now that you know how to expose web services, what about code organization? Where would you or do you put the WS declarations? One or several of your existing controllers? A specific one? I would greatly like to have others opinion on this, so feel free to leave a comment. New App Showcase Site ! It’s still under construction as I am writing this post and I will had more apps in the future. As you have probably guessed, it’s powered by a wonderful tool to build promotional websites, called strikingly. I hope you will like this showcase, feel free to give me any comments on how to improve it. At WWDC 2013, Apple started its keynote address with a video describing its intentions as a products manufacturer and introducing its new campaign “Designed by Apple in California”. What a better example of what Simon Sinek explains at TEDxPugetSound about driving behaviour ? “Wanna buy one ?” Sounds familiar ? iOS URL Schemes Parameters : What about standardization ? I will certainly try to use this next time I am struggling with URL schemes, just to see if the standard is efficient and comprehensible. What do you think about it ? 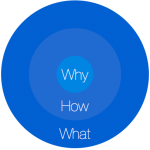 Do you know other people trying to standardize inter-app communications ? Do you or would you use it ?